We are always looking for talented people who are passionate and committed to reproductive health, rights and justice. If this sounds like you, we would love to have you join our team. 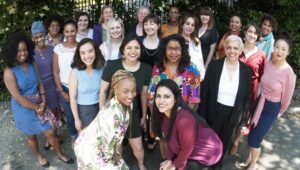 Overview: Health Educator position provides health education and options counseling to a diverse population of women, trans, and gender non-conforming folks at Feminist Women’s Health Center, in support of our full range of reproductive health services; Experience in counseling or in social work is preferred. Listening skills, people skills, and a desire to learn are needed. Availability on Tuesday’s, Friday’s, and Saturday’s are also required. Assist and educate patients on all information necessary to understand their abortion procedure. Educates clients on all information necessary for understanding pregnancy options, birth control, and STI testing and prevention that considers the patient’s lived experience. Provides non-coercive reproductive health information with an emphasis on the self-determination of the patient, consistent with when, if ever, the client wishes to be pregnant again. Educates clients on all information necessary for understanding wellness appointments. Understands and is able to explain the information contained in the authorization and consent forms required by all clients receiving services. Is willing to cross-train to provide patient education/phone counseling. Complete all required patient paperwork and ensure that patient charts are prepared for clinical staff. Obtain important Medical History on all patients. Fully explain all forms, including the authorization and consent forms required by all clients receiving services. Discuss and provide information to clients as designated by the provider in a supportive and non-judgmental manner while also being HIPAA compliant. Accurately input patient information into the system in a timely manner. Discusses and provides information to clients in a supportive and non-judgmental manner. Understands and is able to articulate the mission of the FWHC to potential clients. Serves as an advocate for the client and her family during the health education session. Other duties assigned by the Clinic Administrator or other Supervisor. Excellent interpersonal and communication skills to develop and maintain effective relationships with medical and administrative staff, patients and the public. Demonstrates tact, versatility, and adaptability. Skill in gathering, analyzing and interpreting information. Knowledge of electronic medical records a plus. Knowledge of Microsoft Excel, Outlook, Word, and PowerPoint a plus. Ability to learn and adheres to clinical protocols and procedures. Ability to exercise initiative, sound problem solving, and decision-making. Overview: Patient Care technicians work closely with physicians, nurses, and other clinical staff, providing quality and compassionate care for clients. Responsible for performing/maintaining supply log quality assurance expiration checklist. Demonstrates knowledge and competency in required clinical skills, procedures, and equipment pertinent to the practice of GYN/Abortion care. Transgender friendly is required. Commitment to reproductive health, rights, and justice is required. Upbeat, positive, personable, and ability to relate well with diverse people and age groups is required. Assumes the responsibility of annual CPR certification as mandated by FWHC’s policy. Ability to remain on feet for long hours and physically lift to transfer patients. Ability to provide care and information in a supportive, respectful and non-judgmental manner. Flexibility in handling multiple tasks, prioritizing tasks under pressure and working in different areas. Ability to take direction, follow directions and to make judgment decisions within the scope of assigned task. Bilingual in Spanish is a plus, but not required. Helps RN to perform pre-operative assessment when needed, including reviewing the client’s medical history, listening to heart and lungs, and inserting I.V.’s. Reports any complications to the Clinic Administrator, Nurse Supervisor, & attending physician responds to emergencies per FWHC policy and procedures. Assists RN in aftercare room to receive clients, being sure ample supplies are available, emergency equipment is available, and functioning properly. Monitors post-operative / post-anesthesia clients until discharge and remains until the last client is discharged. Maintains accurate, complete, and legible records of nursing observations and nursing care, and reviews clients’ charts prior to discharge to ensure completion. Assists in maintaining good clinic flow. Takes patient calls regarding lab results and post-abortion concerns. Communicates with Clinic Administrator, Nurse Manager, and MD to provide appropriate follow up care. Lists drugs and supplies when needed on order list. Maintains confidentiality of all client & clinic-related information consistent with HIPAA and FWHC policies. Ensures with a high level of consciousness and constant vigilance that each client receives the quality health care needed within the scope of clinic services and FWHC policies, procedures and guidelines, and ensuring that necessary safety precautions are taken. Is a role model for peers and actively promotes professional growth by sharing knowledge, participating in conferences and teaching new employees. Works effectively with clinic staff, RNs, and physicians; possessing tact, discretion, diplomacy & professionalism. Demonstrating an ability to work well with diverse groups of people. Maintaining a high degree of professional ethics, which includes confidentiality of all client, volunteer & employee information, business strategies, etc. Utilizing work time efficiently and with integrity. Contributing to a positive team environment through reliability and accountability; communicating positively and assertively; &appreciating and recognizing your team members. Communicating effectively with supervisors on the status of work in progress, including written status reports and staff meetings. Completing projects and work assignments as assigned by deadlines. Communicating questions about work assignments or deadlines to supervisors.